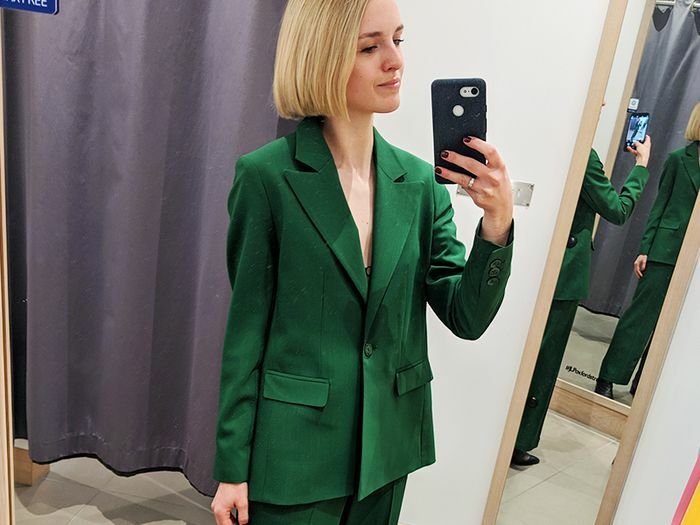 This week, I had the chance to visit the Reserved store on Oxford Circus to see the new collection before the doors opened to the public (one of the perks of the job). Opening back in 2017, the brand is regarded as Poland's answer to Topshop. Think a mix of affordable basics, trend-led pieces and plenty of stylish accessories. After having a good old rummage (the store is pretty huge), I came away with five key pieces that I hope will work hard over the coming months and into summer. 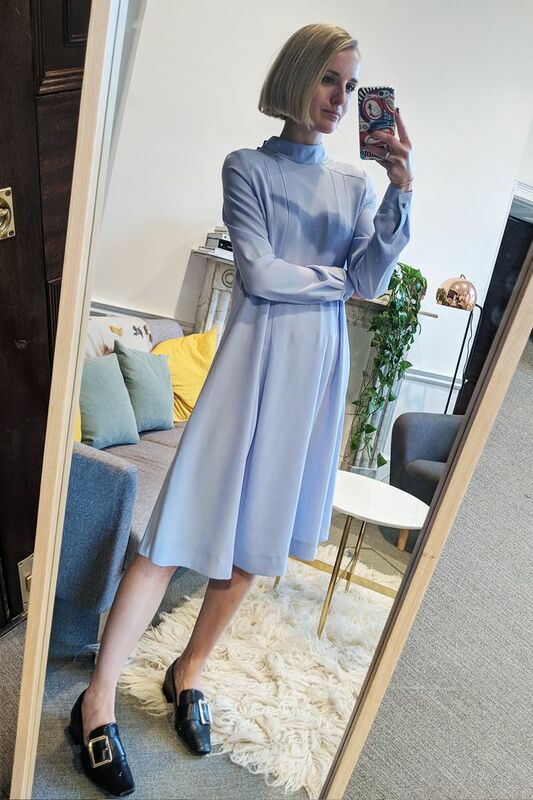 Highlights include a powder-blue dress that will be perfect for spring (thanks to long sleeves and a knee-grazing length) and a super comfy pair of statement loafers (which I'll wear with everything from straight-leg jeans to jumpsuits). So even if you don't invest in these exact pieces, feel free to use my buys as a springboard to inspire your spring capsule wardrobes. Scroll down to see my picks and shop similar items on the high street. Style Notes: I'm a huge fan of this soft, powder-blue hue, which would look so nice on both blondes and brunettes. The longer sleeves mean it'll work for spring, but the light fabric also makes it summer-ready. Style Notes: I've been looking for a beige blazer for ages now (you can never have too many jackets IMO), and this Reserved number is just the right length and chic shade of beige. Style Notes: I find shopping for flats so tricky, especially on the high street, so I was pretty excited when I came across these statement buckle shoes. They feature a very low heel, which means they're more supportive than completely flat styles. Style Notes: This skirt suit is just too cute for words, and I particularly like the boxy, retro-style jacket. When I'm not wearing it as a two-piece, I'll pair the jacket with my fave pair of high-waisted flares.